Seriously though, everyone is launching a new foundation at the moment, and I need to try them all. I just love foundation, and its magical ability to make me look much nicer and far less like a drunk. 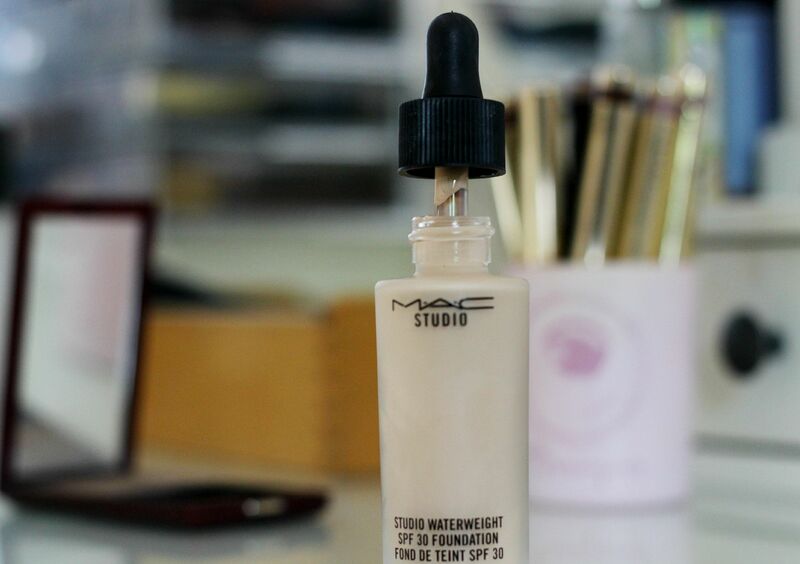 I had heard SO much about the new MAC studio waterweight foundation, and obviously had to try it. I got the shade NC15, which is a good match. Thinking positive, because this is a review of two halves. On one hand, I like it… On the other, I don’t. I know, I know, pick a side of the fence. I cannae do it Captain! It’s so so sheer. So sheer. I don’t know, I could just not bother. 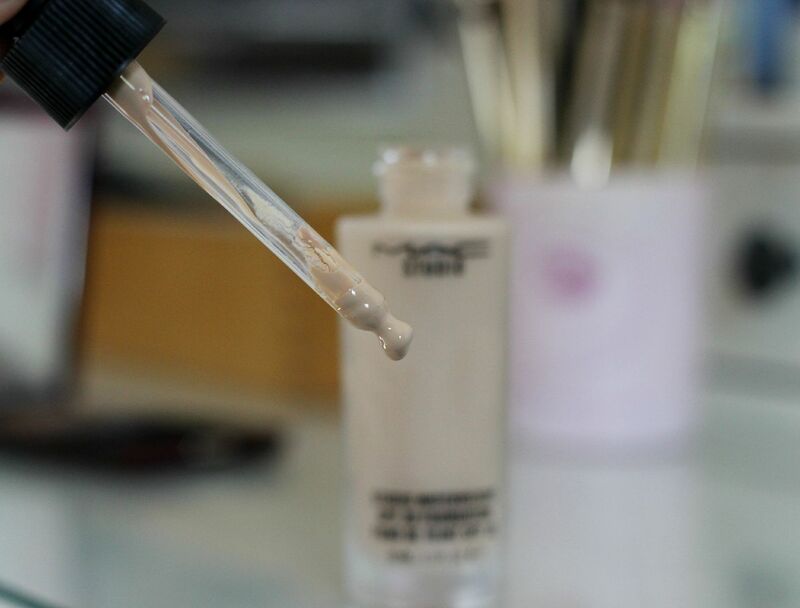 The texture is unlike anything I’ve ever tried – it’s literally weightless on the skin, and sort of disappears as I apply it. 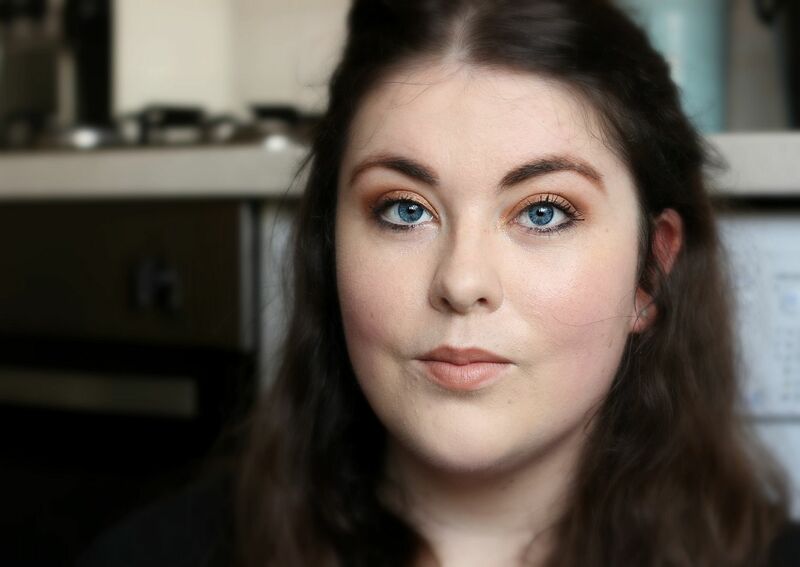 I guess I just like my foundations to have coverage – this has less coverage than the NARS tinted moisturiser for example. In the photo above, it doesn’t look as sheer as it does in real life. I have to use more to get the coverage I would prefer. It’s not too good at disguising redness or blemishes. The bottle as well… it feels very fragile. The pipette dispenses a fair amount of product which then just basically disappears in your hand. 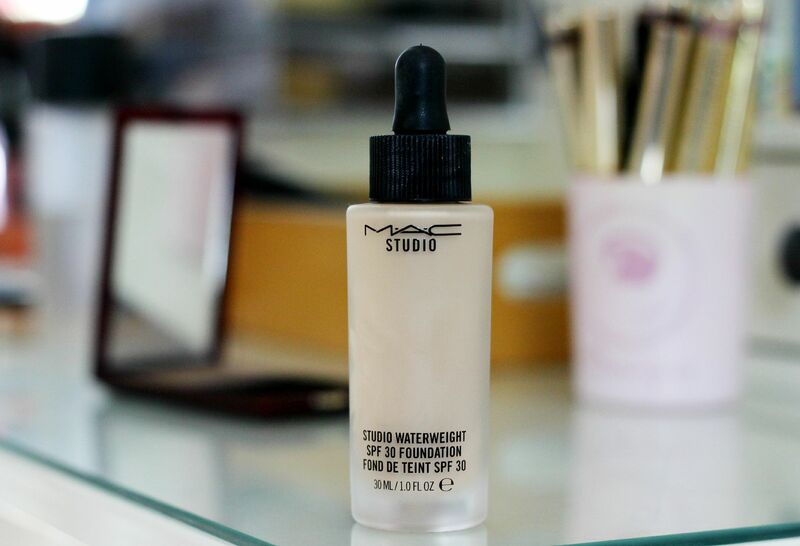 MAC says that the studio waterweight foundation has an ultra fluid formula, which I agree with. As in, you put it in your hands and it literally feels like water. If you vigorously (and I mean violently) shake it before you use it, it does seem to thicken up a bit. Shaking is key. It does last excellently on dry and dehydrated skin though, which is its saving grace. This would work beautifully on older skins, and people who have dry and scaly skin like me. It does add the dew. I can see why this was used a lot backstage at fashion week, because if you have tired skin and want an instant pick me up of radiance, then this would work wonders. I can’t imagine many models need lots of coverage from their foundation, either, which wouldn’t hurt.